This bundle includes everything you need to set up your own pedal board. 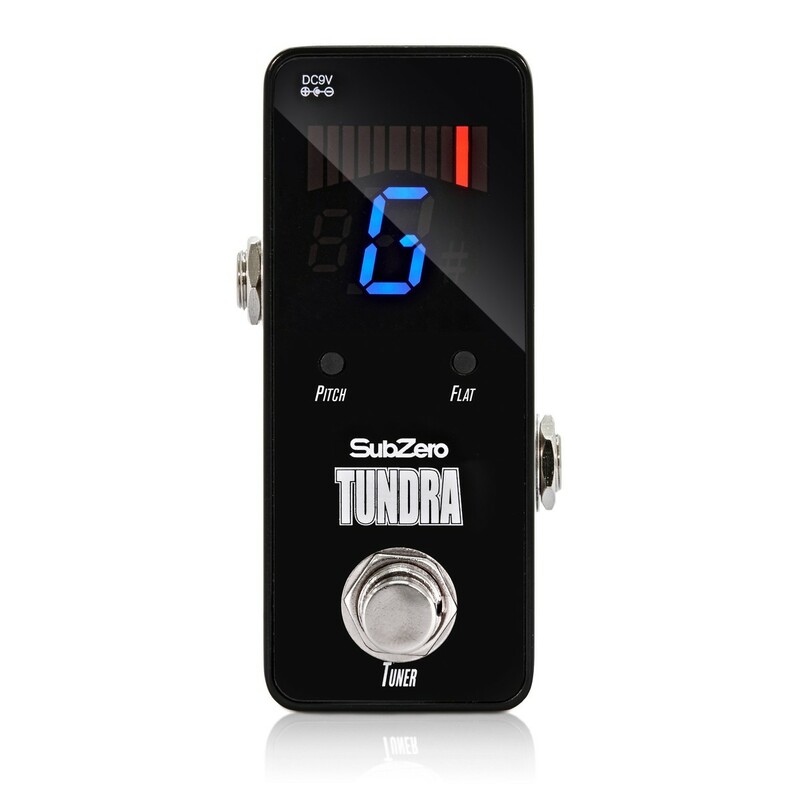 The SubZero Tundra Tuner Pedal will help you keep in-tune mid-performance without hassle, the SubZero Polaris micro power supply will power up to Eight pedals, and the patch cables will connect them together. 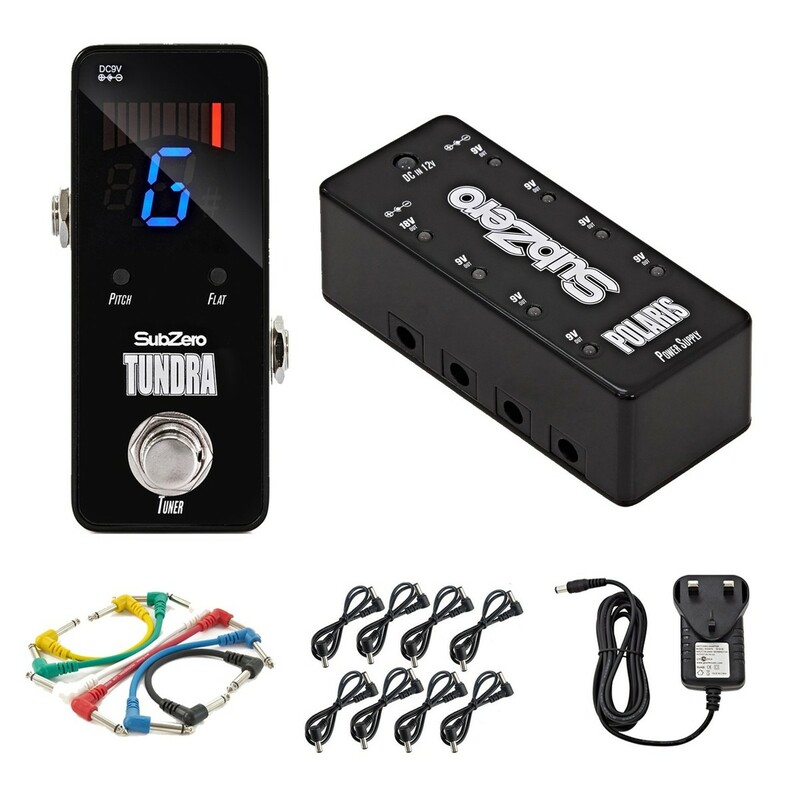 This micro power supply features seven 9v (250mA) outputs and one 12v (150mA) output, all with negative centre polarity. Indication lights illuminate once connection has been made between the power supply and the pedal, letting you know exactly what you're powering. 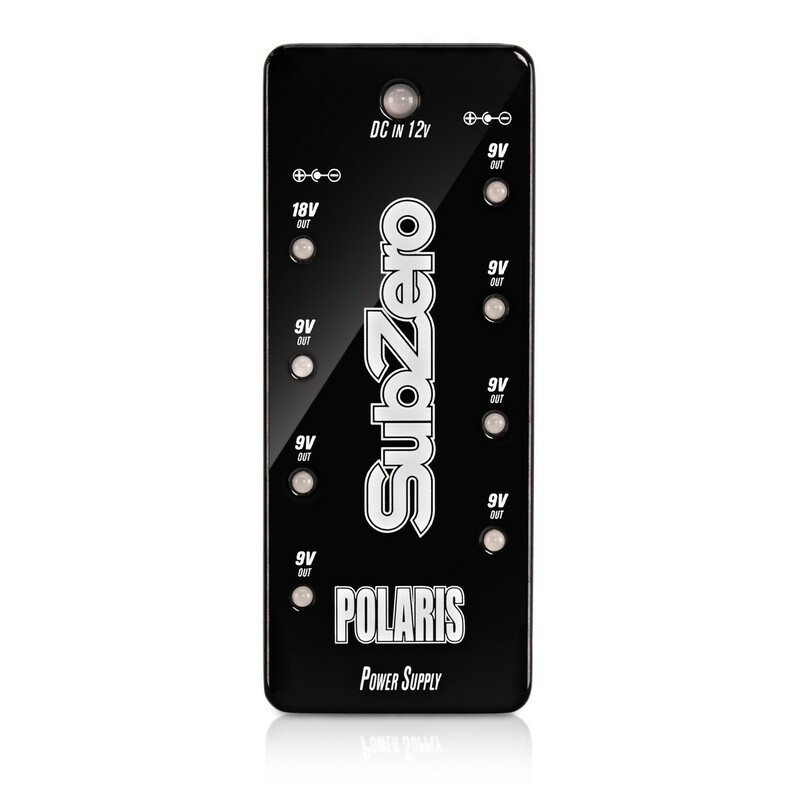 Each output has an individual short circuit protection, so that if one connection trips, you will still be left with all your other pedals to work with.